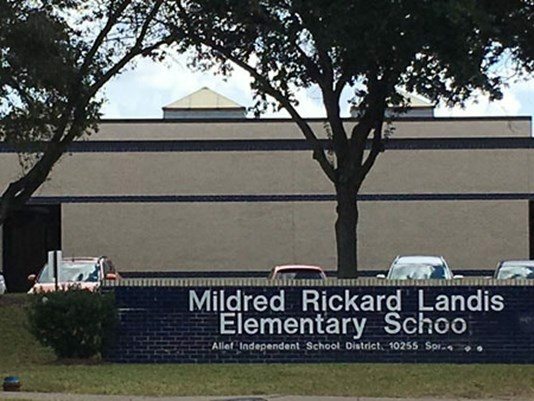 Alief, Texas, Independent School District teacher Lisa Allison has been charged with injury to a child Wednesday following allegations that she struck a second grade student at Landis Elementary School. Alief ISD Police led the investigation and say they were able to find surveillance video of the incident. According to a court document statement by Alief ISD Officer R. Julian, the video shows Allison approaching the child who was sitting on the floor in a hallway. Julian said Allison said something to the child, who then picked up his backpack, stood up, and started walking down the hall. The officer said Allison was then seen grabbing the child’s hand as he struggled to get away from her. According the document, the teacher can be seen grabbing the student near the back of his neck. Julian said Allison is then seen striking the student with a closed fist on the right side of his face before forcing him to the ground and holding him there. According to the document, the video then showed administrators arriving to the scene and telling Allison to get off of the child. The officer said Allison said she didn’t remember hitting the student but admitted to pinning him down on the floor. Previous articleShould woman whose child vomited on stranger’s $1200 handbag pay for it to be replaced?